Today I have a really inspiring story for you and some weight loss tips from the person who actually lost a whopping 10st! Jen blogs over at Just Average Jen but she really isn’t an average person, just look at her above. Doesn’t she look great? Would you believe it that she once weighed over 22st? It’s hard to believe, right? 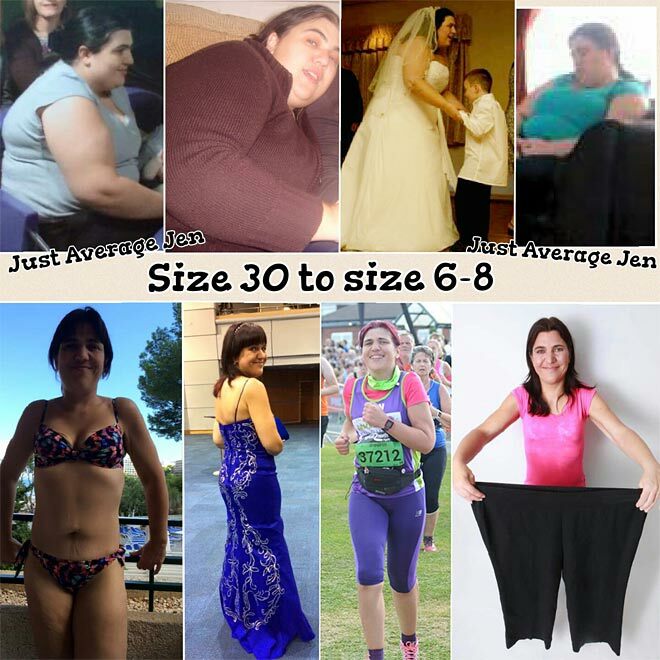 I think her story is so inspiring that I really wanted to share it on my blog and inspire any of you who want to lose some weight. If she’s done it, why wouldn’t you be able to do it? 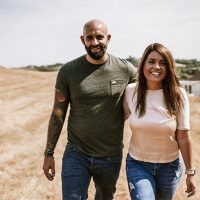 I’ve asked Jen a few questions about her journey and she shares her answers and weight loss tips below. If you are overweight this is something you must read! What was your motivation behind your weight loss? Was it that one day you realised that you are just too big and need to do something about it? Was it for health reasons or you just wanted to look better? I knew I was overweight, well more than overweight I was morbidly obese. I knew I should lose weight but it wasn’t right in my head previously. I was in an unhappy and essentially abusive relationship that I knew I wanted to get out of but I hated myself. After thinking about my New Year’s Resolutions I decided I needed to feel better about myself in order to stand up for myself and not stay in a relationship I wasn’t happy in. I decided that I wanted a better life for myself both, in how my relationship was, and how I was as a person. 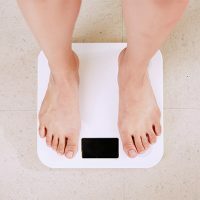 My weight was holding me back and as a likely contributing factor to my fibromyalgia I decided I needed to take control and do something about it. What was your diet like before you decided you need to improve it? What do you think contributed to your weight gain the most? I used to eat takeaways at least twice a week. I regularly ate out with pub lunches often followed by a dessert. When I went shopping my trolley was filled with chocolate, cookies, pastries and my nemesis custard cream biscuits! Most of my food was processed and I ate far too much of the wrong things. A family size pizza or quiche would be my evening meal along with chips and followed by cake and chocolate. My breakfast would be a full large packet of custard creams biscuits with mugs of calorie filled hot chocolate. Looking back at my diet as a whole it is no wonder I gained weight! You lost weight by following Slimming World principles and their recipes. Why do you think Slimming World worked so well for you? Is it because you created healthy habits for life while being a member and not just for a duration of a diet? Do you still follow their principles today? I think for me Slimming World worked because it taught me to eat the portion sizes I like with healthier foods. No food has been completely restricted and I can enjoy my favourites still just in moderation or cooked in a more healthy way. I love cooking and my food is still exciting and tasty whilst not full of fat and sugar! I still eat a healthy diet cooked from scratch following the same principles because I know if I go back to my previous diet I will soon become that morbidly obese woman I once was! How long did it take you to go from over 22st to 12st? It took 16 months to lose the 10st 4lb I lost to my weight loss target but I lost weight much slower near the end. I actually lost the first 8 stones in just 37 weeks. During your weight loss journey did you have any struggles? If yes, how did you deal with them? I have always suffered from depression and during my weight loss journey I found comfort eating could be a struggle but I learnt that I could enjoy stodgy comforting foods like pasta made in a healthy way and limit the damage of ice-cream and chocolate by not having them in the house to tempt me when I am depressed. Do you think that losing weight together with other people makes the journey easier? Do you think you would be as successful if you did it on your own? I think it makes it easier because you are committed to chat to your new friends every week so less likely to give up. I know if I had done it on my own I would have easily given up as I had when attempting to lose weight in the past! What does your typical breakfast, lunch and dinner look like now? I love fruit now and often eat that as snacks, sometimes I snack on vegetable sticks with a dip like houmous which I can make myself much healthier than the shop bought ones. If somebody wants to lose some weight, what’s the best advice you could give them? What are your top 3 weight loss tips? If you want to lose weight have faith in yourself, if you want it you can do it just do not give up! 1. Make your food interesting (so you don’t get bored) by adding herbs and spices and cooking things differently. 2. 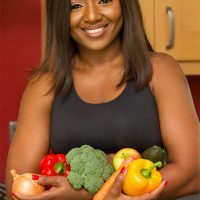 Find fruit and vegetables you like and enjoy, never force yourself to eat things you don’t like because the way you will soon give up as you will be unhappy and feel restricted. 3. Don’t compare yourself and your weight with others. Everybody is made differently – what one person looks like at 12 stone is very different from how someone else does and everybody loses weight differently. This is your body and your weight loss journey only ever compare yourself with how far you’ve come and how well you are doing. Be proud every step of the way of the new habits you are developing. I understand you lost 10 stones while not exercising but now, don’t you think that the exercise is an important part of keeping the weight off? I can see on your social media that you love to run now! Yes, I lost my weight without exercising and starting running through choice, I like a challenge and decided I wanted to run a half marathon and then surprised myself by actually loving running! I feel running or exercise in general can help some people keep the weight off but for me I know I can do that with food and good eating habits alone. For me the advantages of running are mental, I feel fitter and healthier when I run and I enjoy that alone time where it is just me and the roads! Many of us are emotional eaters and eat for comfort when feeling sad, upset or depressed. How do you deal with emotional eating yourself? What are your top tips? I have a few strategies in place to help me with this admittedly none are fool proof and I still have times when I struggle and binge on junk because I feel down but I am only human I don’t beat myself up over this I just carry on and try to not let it get in the way of the bigger picture. For me distraction is the main help, I keep busy with typing or in the bath so I physically can’t eat junk food. I also never buy food I can’t resist so that the unhealthy foods aren’t in the house for me to reach for on a bad day. 3. Talk to people when you feel down, you don’t have to talk about your problems but if you’re on the phone or chatting to someone over a coffee you’re less likely to tucker into a tub of ice-cream! 4. Find other things to keep you busy, sewing/knitting/crochet, colouring, cleaning, having a bath, reading etc. Finally, what other advice would you give to people who want to lose weight and be healthier? I would say that if you want to achieve it you can. There is no time limit unless you set it yourself so don’t put yourself under unnecessary pressure. Take each half stone at a time if you have a lot to lose, so it is breaking it into achievable chunks and feels less of a mountain to climb. Remember the saying, Rome wasn’t built in a day, think how long it took you to gain weight… it won’t fall off overnight! If you have a bad day it is just that, one bad day, it only turns into a bad week or giving up if you let it, draw a line and carry on. If you don’t give up you will get to where you want to be eventually whether it takes a month a year or a decade every step forward is an achievement and better than staying as you are now! You can also follow Jen on Facebook, Twitter and Instagram. Yes, that’s right about spicy food, it can indeed boost your metabolism! To achieve your dream body, it takes a lot of effort and discipline of course. It doesn’t happen overtime. You need to work for it. And yes, these tips can really help in achieving that kind of weight loss you want.